That is what we want to hear when we create a painting. 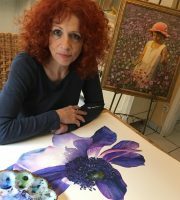 We want that a painting brings emotions, that our painting touches our viewers, that our painting is in each way successful. Many struggle and I am here to help you. 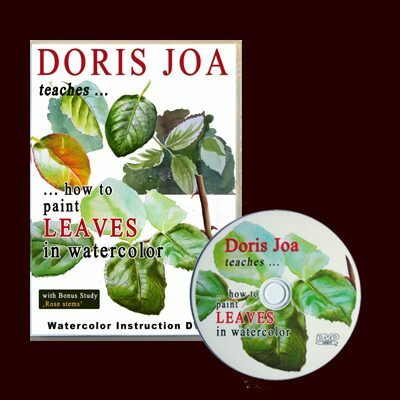 In my Watercolor DvDs, also available as Online Videos, I show you how I paint, how much water I use, which brushes I am using. 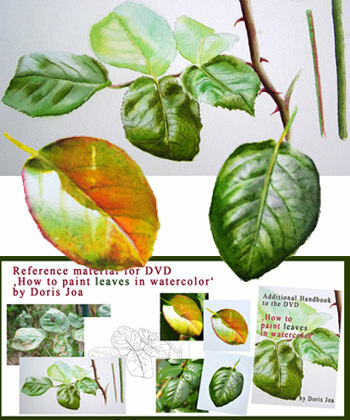 Learn which colours are on my palette, where I start, how I paint light and shadow. 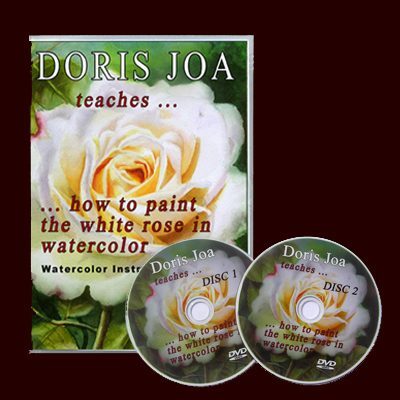 Learn how to bring life to you rose and flower paintings. You too can learn this with my lessons. The roses are full in bloom now. 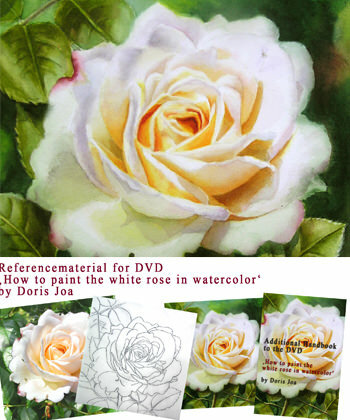 Why not going outside and taking many reference photographs and trying your own hands on some rose painting. 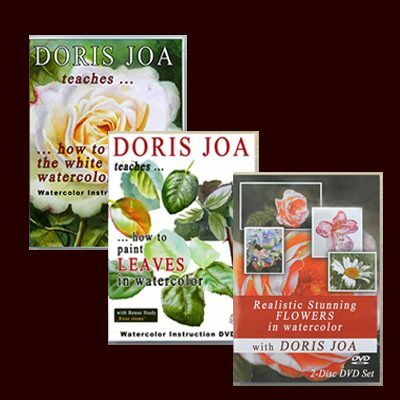 My Watercolor DVDs / Online Videos just show you how to make the best of your painting, how to create realistic roses and flowers, how to use colour temperature, how to get a three dimensional look, how to use colour and tone to create the form of the roses, flowers and leaves. 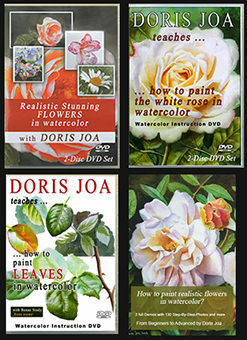 There are many lessons in this Watercolor DVDs and Online Videos. 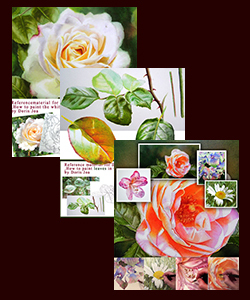 My passion is to create realistic rose and flower paintings. Follow me step-by-step. 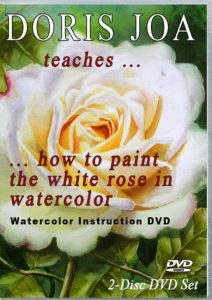 Learn by yourself in your comfort zone at home how I paint my roses and flowers. 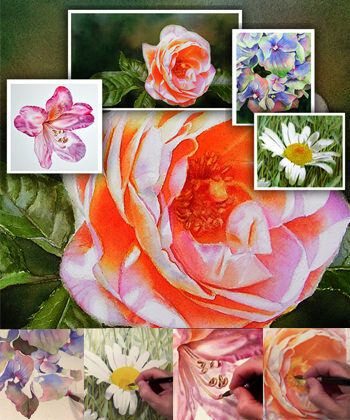 Flowers always bring the viewers happy emotions and memories and that is what we artists try to capture. 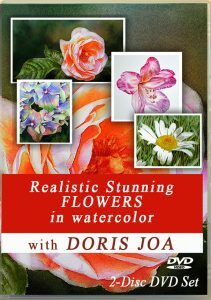 I show you how to make your flowers looking real. 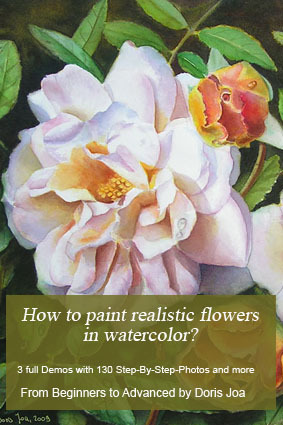 I show you how to create a complete painting with a rose, leaves and background. 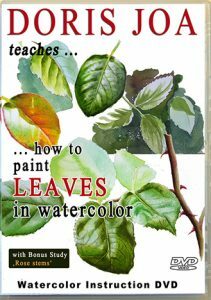 Learn to integrate the rose and the leaves into the background. 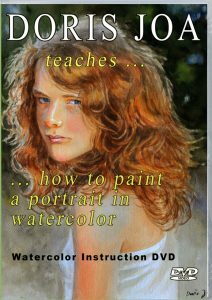 Learn to create a successful painting. This are easy to follow lessons. 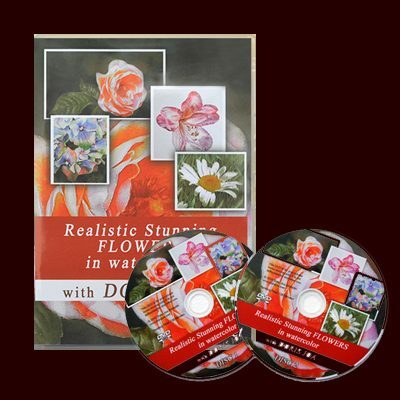 Learn with me and you too can create stunning and realistic flower paintings. For detailed information, testimonials and video previews click on the images. Or buy them here. Don’t forget to use the coupon ‘june’ at the top of the cart. 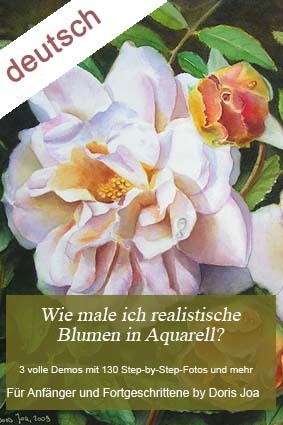 If it doesn’t work due technical issues just send an email to doris(at)dorisjoa.de.